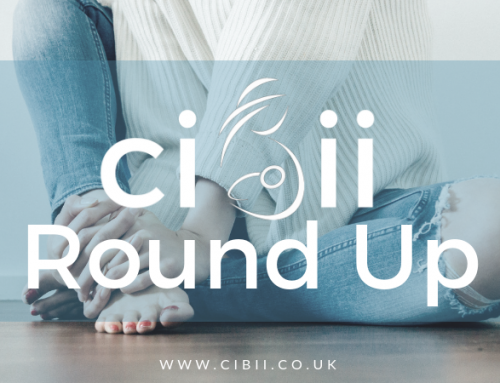 Weekly Round Up 22nd July - Top Picks | Can I Breastfeed In It? This bardot neckline skater dress is made of great stretchy materia tat is perfect for nursing. Great for occassions, maybe even a graduation (!) Available in 7 colours, and a great price too. Lovely floral print on pretty frill detail on this gorgeous bardot dress. Add trainers and a denim jacket for cute summer style or some smart heels for occasions. Recommended for breastfeeding twins! Great bold print for this season’s must have style, floral jumpsuit for occasions or even just playdates! Wrap front and tie belt detail. AX Paris have had some fnatastic dresses this summer, their flattering shape and elegant prints have been so popular. This dress is no exception, perfect for occasions or just hanging out with friends, these AX Paris dresses are fabulous this summer. Everything about this is a Summer must have outfit. From the print to the wrap front and tailored leg. <Must have for evenings out or day time cool with sliders. Fancy a change from all the gorgeous dresses and playsuits? How about this pretty red floral top. Lovely wrap front and tie waist, wear with cropped jeans or maxi skirt and flip flops! Chic striped dress perfect for summer days, this dress has been raved about!. Button front for nursing access, flattering belted shape and contrast hem detail. Everyone is going polka dotty for dotty dresses. A wrap front dress at a stylish length with an asymmetric hem. Fabulous flower power and feminine frills, this jumpsuit has a flattering tie waist and gorgeous ruffle detail. Great for effortless chilling! Shein have got the pola dot dresses spot on this season, flattering shape, price, and of course breastfeeding friendly. Lovely season-popular dress shape and style. Fit and flare design with button front detail. Maxi dress with v neck front and side split detail. Great summer print for lush summer wear! Sorry, not sorry…. another Shein dress in this flattering style with button front, shirred waist and maxi length skirt. Showcasing a hand rendered scribble print throughout, this jumpsuit has a cropped length with flared hems, plunging v neckline, long sleeves accented with self tie cuffs and belt at the waist. Stand out in this jumpsuit, v neckline, wrap front, tie waist and tapered leg. Very chic, love it! Pretty polka dots! Cute collared neckline with rolled short sleeves, button through fastening and belted waist. And the selling point – double pocket front! This is so cool-who’s kids wouldn’t love this too?! Buckles and side zips, great looking ahead to Autumn! We’ve has zebra print, red zebra print and now this lush green midi length shirt dress. Collared neckline, rolled sleeves and button front. Also available in red and black. This romantic and pretty dress has a v neck and wrap front design. Pretty flutter sleeves and a lovely dip hem and a great price for such gorgeous dress!